Ngodwana, South Africa. 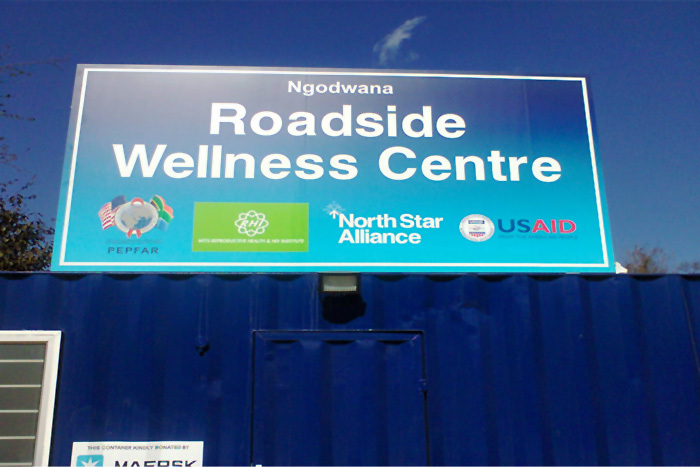 The centre, which is located on the busy N4 Highway in the province of Mpumalanga, is ideally situated to provide health services to mobile workers moving between cities including Johannesburg and Pretoria, and the Mozambican capital of Maputo. On the western border of South Africa, the N4 also connects to the A2, or Trans-Kalahari Highway, which enables drivers to continue on through Botswana to Walvis Bay, Namibia.